Joseph (Joe) D'Aleo, is a retired meteorologist who is a well known climate change skeptic. He contributes to publications such as Tech Central Station, where he is described as "the first Director of Meteorology at the cable TV Weather Channel. He has over 30 years experience in professional meteorology. Mr. D’Aleo was Chief Meteorologist at WSI Corporation and Senior Editor and “Dr. Dewpoint” for WSI’s popular Intellicast.com web site. He is a former college professor of Meteorology at Lyndon State College. He has authored and presented papers and a published a book focused on advanced applications enabled by new technologies and how research into ENSO and other atmospheric and oceanic phenomena has made possible skillful seasonal forecasts. Mr. D’Aleo also has authored many articles and made numerous presentations on the roles cycles in the sun and oceans have played in climate change. Mr. D’Aleo is a Certified Consultant Meteorologist and was elected a Fellow of the American Meteorological Society (AMS). He has served as member and then chairman of the American Meteorological Society' Committee on Weather Analysis and Forecasting, and has co-chaired national conferences for both the American Meteorological Society and the National Weather Association. Mr. D’Aleo was recently elected a Councilor for the AMS. D'Aleo's fundamental premise is that although there is a global warming trend there is not a strong causal relationship between that trend and carbon dioxide buildup in the atmosphere. Instead D'Aleo contends that the global warming trend correlates more closely with other phenomena such as solar activity and ocean current oscillations. ↑ "Joseph D'Aleo", TCS Daily, accessed November 2007. ↑ ICECAP, Joker.com, accessed November 2007. Joseph D'Aleo, "Let It Snow, Let It Snow, Let It Snow...", TCS Daily, June 2, 2006. Joseph D'Aleo, "Global Warming - Is Carbon Dioxide Getting a Bad Rap? ", Energy Tribune, July 9, 2007. 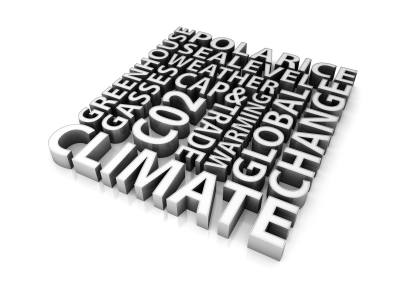 Joseph D'Aleo, "Is Global Warming on the Wane? ", The Old Farmer's Almanac, 2009. This page was last edited on 5 November 2008, at 03:45.